Giving a goat is for the discerning charity supporter because they know that the role of the goat is hugely important to the family unit. Goats produce milk, with calcium forming an essential nutritional component for healthy bones, as well as fertiliser which helps to facilitate the healthy growth of vegetables and other essential crops. 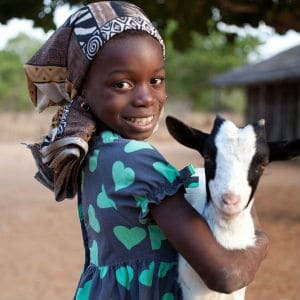 In this section we have selected from a range of goat adoption programmes, so as you can support a programme that matches the amount you are able to donate. Simply select from the list below, to find out more about the organization and how your donation will change the lives of those it reaches.